This blog has been going for over fifty posts now and I think I’ve reached a level where I’m comfortable enough to admit some things to you all. In this spirit of sharing and openness, I have a confession to make: I first started collecting old knitting patterns for the lols. 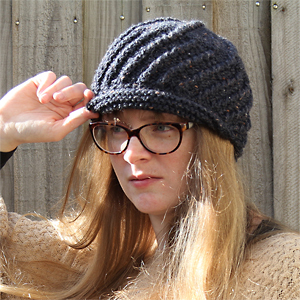 I didn’t even own a single pair of knitting needles. I thought I was going to stick to crochet forever. Exhibit A. “A single-coloured vest, papa? We groovy guys won’t settle for anything less than six clashing colours. It’s called style. Plus, you’re kind of blending into your chair there.” I have this pattern in my collection because there was simply no way I could leave it behind. Why did this even happen? Exhibit B. 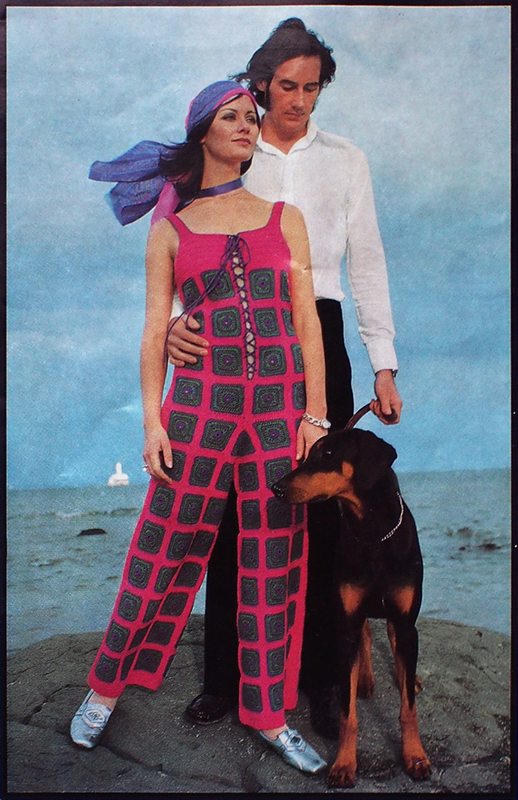 “For some reason, I always feel like eating licorice allsorts when I wear this highly manly poncho.” My mum has this actual pattern book, so it may only be a matter of time until I drop by for a visit and find my dad wearing one of these. I’ve been asking that Why? question a great deal lately, as I’ve been trying to find crochet books for the ma, who gave all hers away a while back and is now regretting it. There are always little gems tucked away amidst the craziness. And at other times, there’s a little extra craziness tossed in for good measure. Take the book I found the other day. It has your standard fare: lacy dresses bordering on indecent, the odd pair of crocheted trousers (yes, they are real) or a pantsuit. I was taking it all in my stride as I flipped through. It’s a picture that raises more questions than it’s ever going to answer. Why are they standing on that rock? Why is the dog there? Why is she wearing that? Why is it held together with a string at the front? You can imagine the conversation before they set out, can’t you? It looks to me like a romance cover gone wrong. It has everything: moody weather, hair flowing in the wind, a guy in a white shirt with the collar undone. A dog. I feel like it desperately needs a caption, though. Leave a comment with your best caption! Or captions, because there’s more than enough crazy to go around there. 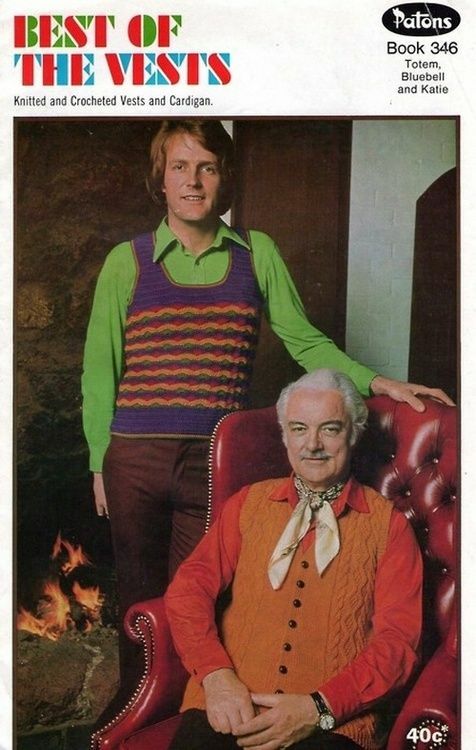 Best caption wins their very own copy of the pattern, but don’t let that put you off. That certainly explains its forlorn expression. Or, dare one say… hangdog expression? “A single-coloured vest, papa? We groovy guys won’t settle for anything less than six clashing colours. It’s called style. Plus, you’re kind of blending into your chair there.” Roflmao right there. It’s amazing how much we can read into a simple image. I can just imagine her striding off through the coastal breeze, feeling wonderfully warm everywhere except her arms and perhaps wishing she’d crafted some sort of crocheted poncho to match the bodysuit. I may need to post more of this stuff because there’s plenty more craziness to be found in my collection. Please do. Nothing like retro-snark to brighten up everyone’s day. I am also a collector of vintage patterns and yep the crochet patterns, what can I say! I can honestly say, being born in the 1960’s and being around when these gems were supposedly being created, cannot remember seeing any being worn. Oh please do post some more, they are a lot of fun. 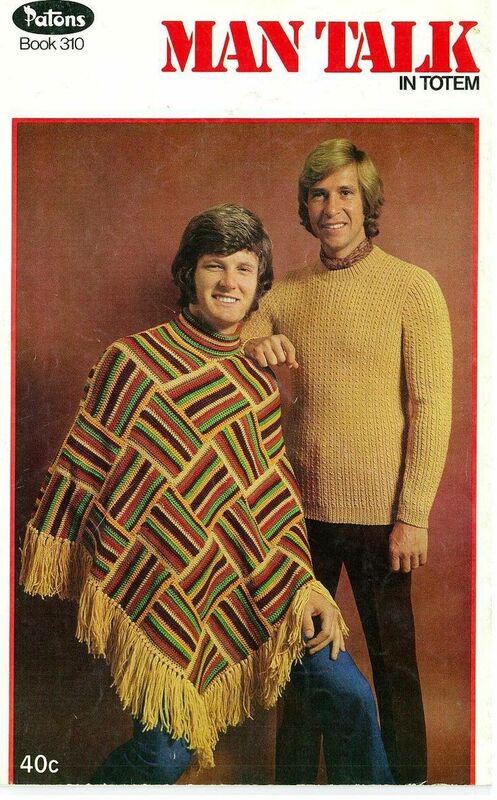 In some ways, it’s a relief to know that no-one was forced to wear some of the crazier items of crocheted madness (although I must admit, that poncho looks like it would be lovely and warm). I’ll definitely be sharing some more soon, which means I’d better go through my crochet collection before I give it away to my ma.